When you skimp on sleep, your body goes into overdrive and operating on an empty tank can have some pretty heavy side effects. Here’s three reasons why getting better sleep can heal your mind, body and soul. A recent finding from a study in the American Journal of Clinical Nutrition, revealed that people ate up to 300 fewer calories when they had adequate sleep and there are many reasons for this. One being the part of the brain that controls sleep, also plays a part in appetite stimulation. It is also true, that when you are tired you are more likely to crave carbohydrates and have less will-power to resist food. The obvious link between weight and sleep is simply based on the fact that you spend less hours awake consuming calories. It’s no secret that we have our cranky pants on when sleep has fallen to the wayside. Over time, this can have an accumulative effect and low mood can result. Evidence suggests that people with insomnia have a ten-fold risk of developing depression compared with those who sleep well (National Sleep Foundation). Sleep helps to restore the body and mind and in turn we are able to have a more positive outlook on life. While you are snoozing, your body is busy repairing itself, tissues and muscles (including out brain) are being rejuvenated, helping your wake up, ready to take on the world. Sleep, also helps the body defend against disease, as you make more white blood cells when in la-la-land, meaning you are less likely to get sick when well rested. Ever noticed a yearly pattern of feeling sad and depressed during the winter months? 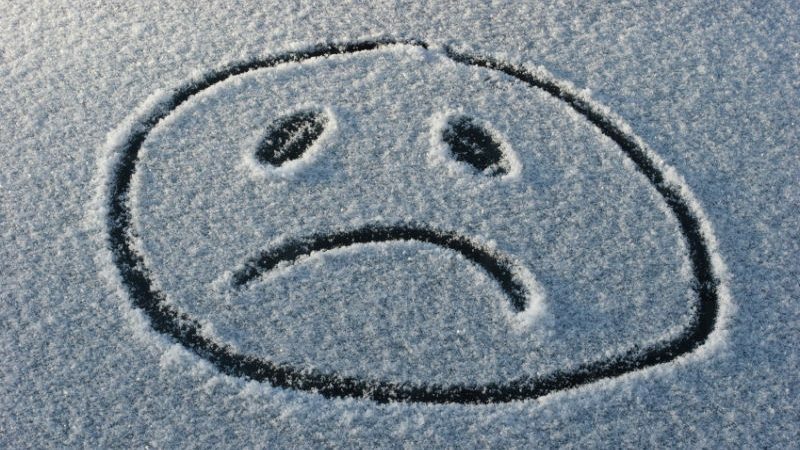 While its normal to experience a change in mood during winter, some people, especially those living in very cold climates, experience what is called Seasonal Affective Disorder (SAD). SAD is defined as pattern of major depressive episodes that occur and remit with seasonal change, usually seen in the winter months in cold and dark climates. People experiencing SAD will show symptoms of depressive behaviour including hypersomnia, changes in appetite including craving carbohydrates that inevitably leads to weight gain as well as a lack of social engagement. There is some debate over the validity of SAD, after all its natural for people to slow down in winter as days grow shorter and colder. The condition is less commonly seen in northern parts of Australia where we experience a milder, shorter winter. However, in colder climates where light is limited and days are short, SAD can occur and statistically young women are at higher risk. Research continues into the exact cause of the disorder but theories around the reduction of sunlight during winter affecting serotonin and melatonin, natural chemicals that regulate sleep and mood, are likely causes. SAD is considered a specific version of major depression and symptoms are therefore quite similar. Below is a list of common depressive symptoms that may be experienced with both SAD and clinical depression. Whether its summer, autumn, winter or spring, how you feel inside is real and it’s important not to sweep it under the carpet and hope your mood improves. 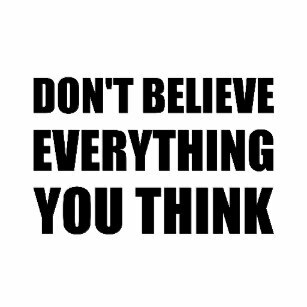 Enlisting the help of a psychologist or mental health professionals can help people who are feeling depressed to assess the thinking patterns that may cause negative thoughts and behaviours. So, for those of you who do experience a yearly cold snap slump, or if you have been struggling with prolonged depressed mood, seeking professional help is the best way forward. The human mind is like a complicated road map, complete with wonderful journeys, total dead-ends and routes that are fraught with danger. Learning how to guide our internal navigators to take the path less ravelled, is no easy feat, especially for our pint-sized counterparts. Setting an example, by talking positively about yourself, sends a very powerful message to children. Practicing mindfulness, being aware of your own negative self-talk, and talking positively about life in general, provides an environment in which your little mimic can thrive. Recognising the core values that define you as a person, and talking about your own strengths and weaknesses, will help your child understand that everyone, adults included, have different strengths and weaknesses and that despite, status and material commodity, it is these core values that really matter. This leads to the next point, of not falling into the comparison trap. Teaching children to avoid comparing yourself to others is an important lesson of self-acceptance, but also best led by example. This is not only true of material things, like cars, houses and clothes, but also of our personal differences, strengths and weaknesses. Learning that it is okay to fail, as this means you tried, will help children experience life with a hands-on attitude. Teaching self-compassion can be a useful way to dissipate feelings of invalidity or inadequacy when children fail or fall-short of personal expectations. An easy way to put this into practice is to think about how you would treat your friend in the same situation and apply those words of praise and kindness to yourself. Children should know that we are all born with the potential to achieve and succeed. By learning to short-circuit our inner critic from an early age, we are paving the path to ultimate personal fulfilment. Like Christopher Reeve once said, “So many of our dreams at first seem impossible, then they seem improbable and then, when we summon the will, they soon become inevitable”. If you or your child needs help with controlling negative thoughts, visit the website to peruse our team of Clinical Psychologists and their individual areas of expertise.